Before you go off-road, secure your jack! The Hi-Lift 4XRAC is for serious off-roaders who are looking for an easy, inexpensive way to stow their Hi-Lift Jack in a convenient, secure location. 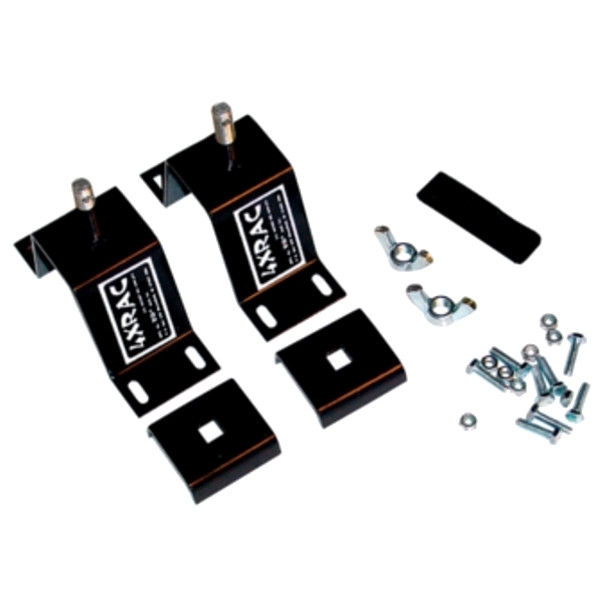 The 4xRAC is specifically designed to mount on flat surfaces such as bumpers or truck boxes. A padlock can be placed through a hole in the carriage bolt. Mounting brackets are slotted for adjustment. Velcro handle strap secures handle to jack bar.